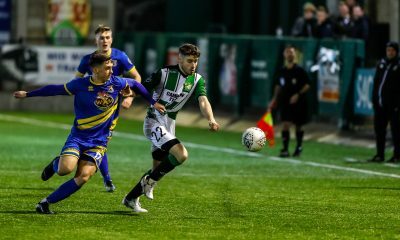 ABERYSTWYTH Town got their 2018/19 JD Welsh Premier League season off to the perfect start as they earned a thoroughly deserved three points against Llandudno at Park Avenue on Friday evening (Aug 10). 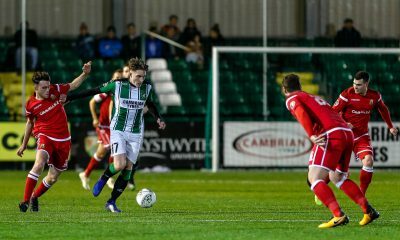 Declan Walker’s sublime 15th minute strike was enough to see Aber to victory, in what was an impressive defensive performance from the black and greens – centred around young 16 year old debutant Lee Jenkins, which saw Aber home through ten minutes of injury time to kick off the new season in the perfect manner. 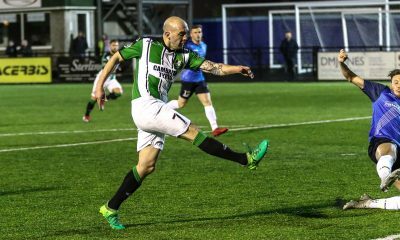 Aber started the game on the front foot, playing with great intensity and tempo, with Declan Walker the first to test Llandudno’s goalkeeper after just four minutes with a long range effort. 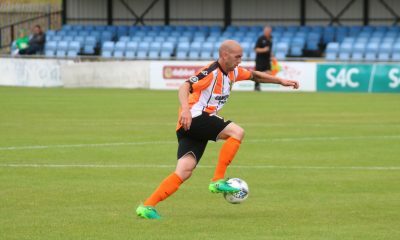 Soon after, it was Joe Phillips’ turn as he cut inside from the right flank and fired a shot narrowly over the crossbar. 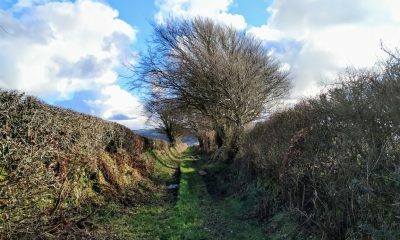 Then, on 15 minutes Aber got the breakthrough their early play deserved, as captain Declan Walker found space on the edge of the penalty area, before shifting the ball to his right and curling a magnificent effort into the top corner of the net to make it 1-0. 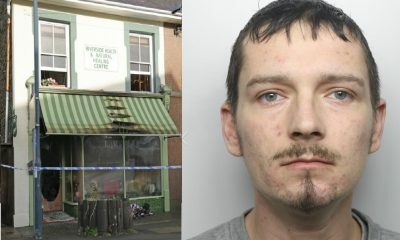 He quickly ran over to the famous terraced corner of Park Avenue to celebrate with Aber’s jubilant fans, and the hosts were off to the perfect start. Rather than sit back on their lead, Town continued to pepper the visitors goal, as Walker again found the net on 20 minutes only for the referee to disallow the goal for an infringement on the goalkeeper. 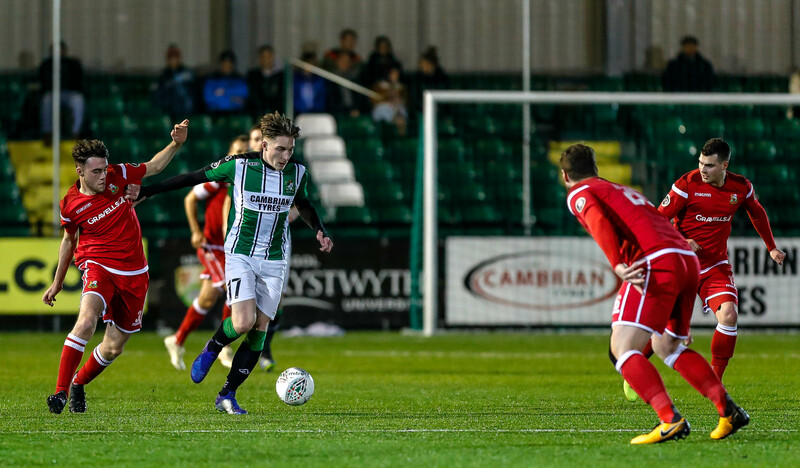 On 25 minutes, winger Ryan Edwards whizzed down the left flank before cutting inside and seeing his shot go inches wide of the post, before Aber somehow failed to double their lead on 28 minutes as Rio Ahmadi and Joe Phillips saw their efforts saved by Llandudno’s Shaun Pearson, before Declan Walker’s rebound rattled the crossbar. The hosts were utterly dominant, with Ryan Wollacott and 16-year old centre back Lee Jenkins snuffing out any danger posed by the visitors’ attacks. As half time approached, Aber again went agonisingly close as Ahmadi raced through on goal only to see his shot brilliantly saved on to the crossbar by the fingertips of goalkeeper Pearson, and the hosts would go into the break with a slender advantage. 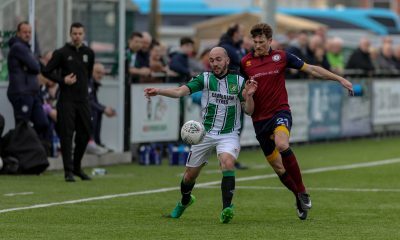 Aber started the second half in similar fashion to the first, looking organised and solid, with Paulo Mednes and Mathew Jones bossing the central midfield areas. On 52 minutes came Aber’s first worrying moment of the game, as Toby Jones crossed for Mike Pearson who was denied by a superb last ditch block by Aber’s Steff Edwards. 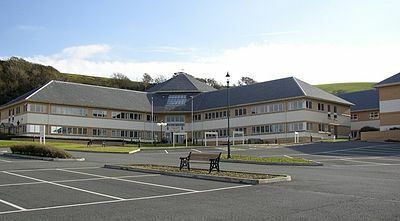 However, Aber goalie Leigh Jenkins, who’d performed admirably up until that point, was caught between both players on their way down and suffered a nasty injury to his right leg – resulting in him leaving the field and striker Rio Ahmadi putting on the gloves to play as goalkeeper for the remaining 35 minutes. 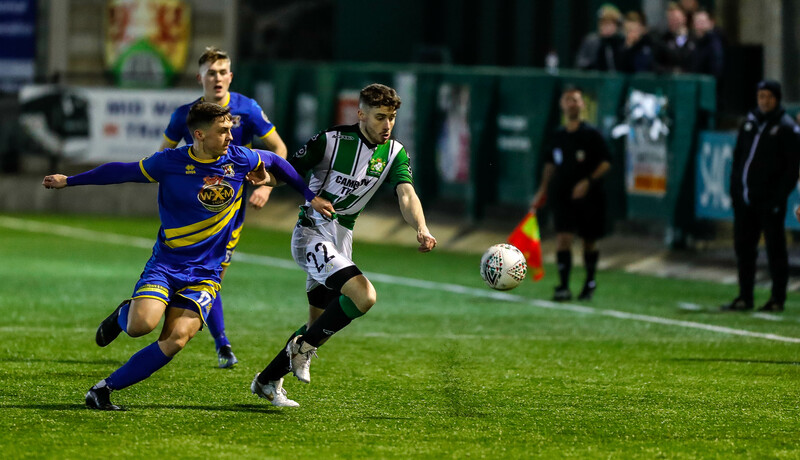 It would have been easy for Aber to panic at that moment, but instead they did the exact opposite as they continued to dictate the tempo of the game and threaten the visitors’ goal, with substitute Nashawn Blake providing additional pace and power up front. 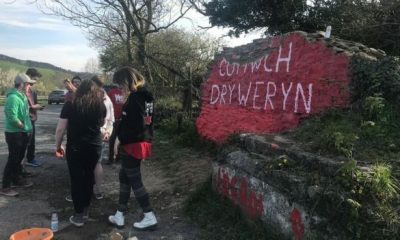 Llandudno began to opt for a more direct route to goal, pumping long balls towards experienced centre forwards Mark Connelly and John Owen, but Aber’s 16 year old centre back Jenkins, aided by Baynes and Wollacott either side of him, was unfazed as he dominated the physical battle. 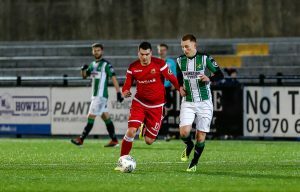 On 70 minutes, Nashawn Blake strode forwards before unleashing a swerving effort just wide of the post, before Mathew Jones’ goal bound header was blocked by Llandudno full back Ieuan Hewitt as Aber looked to press home their advantage. 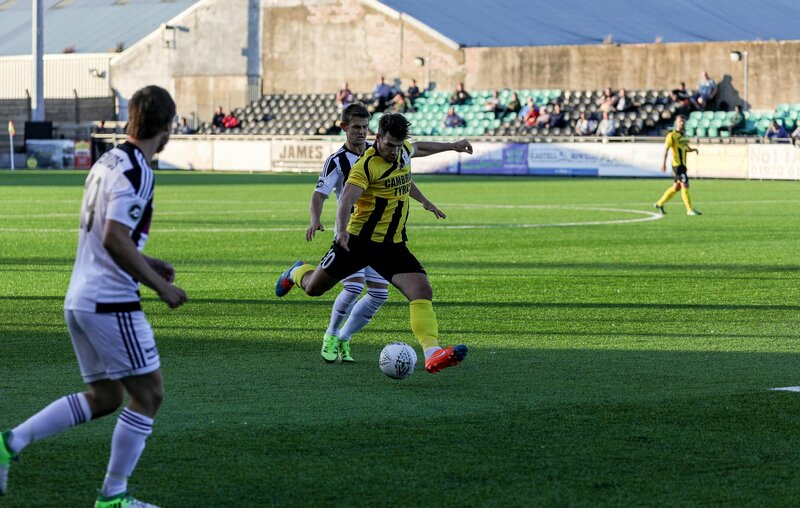 Visitors Llandudno slowly began to crank up the pressure as the clock struck 80 minutes, with Danny Hughes volleying over before former Seasider John Owen headed wide, but the men in yellow were standing firm. There were agonising groans from Town’s vocal supporters as the fourth official indicated a minimum of 8 minutes additional time, as the visitors piled forwards in search of an equaliser. 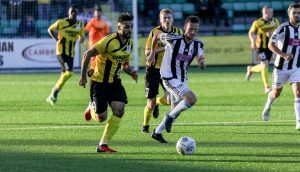 Kai Edwards headed wide in the final minutes before Mike Pearson’s bicycle kick was well saved by striker-come-goalkeeper Ahmadi, and Aber saw the game out to earn a massive 3 points on the opening weekend. A huge victory for the black and greens under the circumstances, in what was the perfect start to the 2018/19 season. 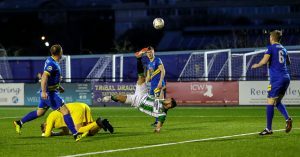 It was an exciting attacking performance matched by an equally impressive collective defensive display, and Aber must now build on that momentum as they face Cardiff Met at Park Avenue on Friday evening (Aug 17) in front of the Sgorio cameras.